Syllabus of the Online Course (Subject): French for international business. 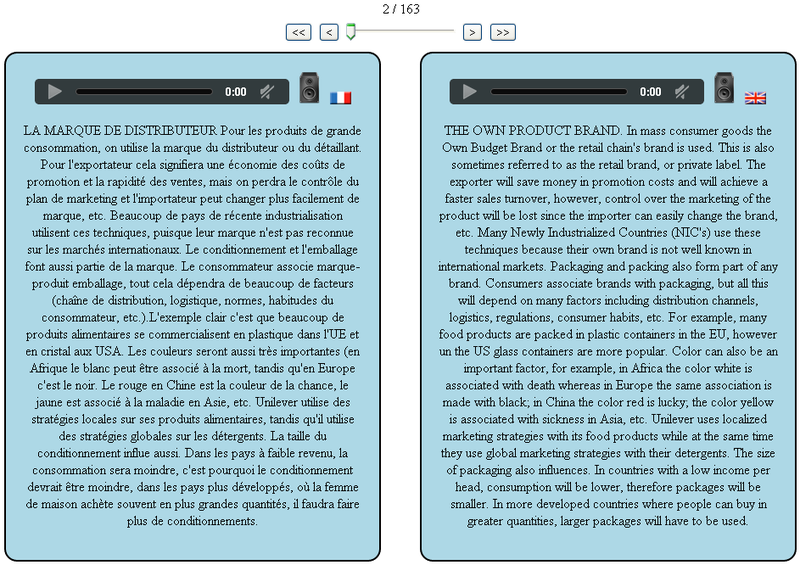 - Improve reading comprehension of French Literature texts and articles. Develop reading comprehension skills. - Improve French writing capabilities . Description of the Course / Subject (French for international business). For this course the students will need to have a basic knowledge of French language (which includes basic vocabulary and grammar). Why study French? French is spoken in forty countries. French and English are the two most widely spread languages in Africa. Approximately 50% of African Countries speak French as either a second language or as an official language. French is the official language of France, Benin, Burkina Faso, the Central African Republic (CAR), the Democratic Republic of the Congo; Congo (Republic of), Ivory Coast, Gabon, Guinea, Luxembourg, Mali, Monaco, Niger, Senegal, and Togo. - French is a co-official language in Belgium, Burundi, Cameroon, Canada (Quebec), Chad, The Comoros Islands, Djibouti, Equatorial Guinea, Haiti, Madagascar, Rwanda, the Seychelles, Switzerland, and Vanuatu. - Other French Speaking countries Algeria, Andorra, Dominica, Grenada, Guinea-Bissau, Italy, Laos, Lebanon, Mauritania, Mauritius, Morocco, Tunisia, and Vietnam. Reading and comprehension of French Literature texts and articles. - Cases of conversations I: International Business: 100 bilingual conversations in French and English. - Cases of conversations II (with audios): International Marketing. 170 bilingual conversations in French and English. Languages - Spanish - Portuguese.